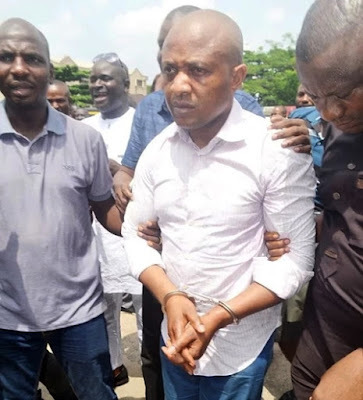 Billionaire kidnap kingpin, Chukwudumeme Onwuamadike alias Evans, who was brought to Igboshere High Court sitting in the Lagos Island, reportedly caused a scene this morning. Evans is facing counts of charges bordering on kidnapping and unlawful possession of firearms, refused to come down from prison van (black maria) to enter the court not until the sitting judge ordered he should be bundled inside the court. SR gathered that the prison warder also said that Evans had earlier refused to follow them from prison but he was dragged.